Travelling around Iceland in the summer was an amazing experience. However, before I visited I had a real stress knowing what on earth to pack. Let me be honest with you, packing for me is always a nightmare. But packing for Iceland seemed extra hard! 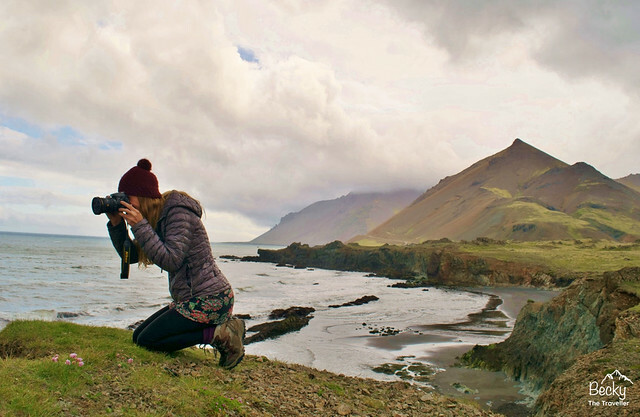 Hopefully, my Iceland packing list will save you some stress! So the country name already started to worry me. Iceland, the land of ice. Does that mean it’s going to be freezing cold? But it’s summer, so shouldn’t that be warm? It’s so confusing! You might like to read Planning a trip to Iceland? – What you need to know (before you go)! My trip was at the beginning of summer in the middle of June. Daytime temperatures were between 8-16C/46-61F and at night it dropped to 5-8C/41-46F. My trip started exploring the beautiful city of Reykjavik then I travelled around the Ring Road in a campervan. Which meant cooking outside and of course, sleeping in the van! As for activities, I did a lot of short hikes, nothing too strenuous. Oh, but I did hike the glacier which was awesome. 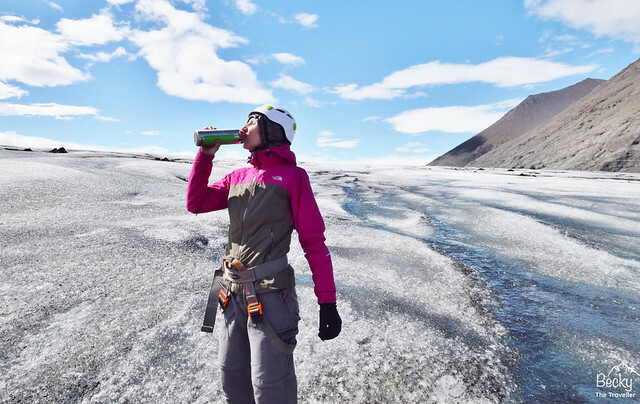 Check out my post here on Hiking a Glacier in Iceland! Thermo or down jacket is perfect. Also great with a hood to keep your ears warm! Perfect with zip-offs in case you do have a warm day! Both top and bottoms. Great for sleeping in too if it gets cold at night. Very versatile for the summer months, you can wear out hiking or comfortable for driving too. I wore with leggings and these make a great changing area at hot springs!! A mixture of long and short sleeves so you have options depending what the weather is doing! These are great for sleeping in too. One that’s good to sleep in too i.e. without a big bobble on top! I had a thin and thick pair. Also, a fingerless pair is handy for cooking outside. Take a couple if you don’t want to put a wet one on. There are so many hot springs on the way driving around the Ring Road. Lots of thin layers are much better than one or two thick ones. They help trap the heat and keep you warmer. Save space and wear the same outfit every day (plus or minus a few layers). Iceland packing list – What else do I need to take? This depends on how much hiking you’re doing. But something big enough to carry waterproofs, camera, water and snacks. If you are camping of course (or hire one). I have a silk liner, perfect for an extra layer to keep you warm. Or if you are hiring a sleeping bag it’s a bit nicer! The water in Iceland is the cleanest I’ve ever tasted. To help reduce plastic and take a water bottle to fill up instead of buying one. I also filled my Sigg Hot & Cold flask** with peppermint tea to keep me warm whilst out hiking. I forgot my sun cream and ended up buying some. Remember you are outside most of the time. Your daily wash if you are camping! Showers are available at local pools but this was easier. I ended up buying what I thought was toilet paper when I arrived in Iceland. However, jet-lagged shopping isn’t a good idea. And it turned out to be kitchen roll which had many more uses whilst camping. I have a few of these in different sizes. They are perfect because firstly they are small but secondly they really do dry fast. Very handy if you’re in a campervan. I was not prepared for the 24 hours daylight whilst in Iceland. It’s so weird to have daylight all the time. But if you find it hard to sleep then don’t forget your eye mask. I have a boring one but how cool is this one! Ear plugs are handy if you are camping and want a lie in! Iceland is one of the most environmentally friendly countries I’ve ever been to. Pack eco-friendly toiletries if you can. I hired a power inverter for the campervan which was the best thing I bought as an extra. No worries about cameras or phones running out of battery. Remember you’re on the road and travelling in a lot of remote areas, it’s handy to be prepared. You might have heard Iceland is expensive so to help with the costs I took some of my own food for camping. An extra gas stove fitting (if you have one), means you can cook meals quicker. Some plastic containers to put leftover or extra food. Want to save some money. Bring your own food. Now if you’re spending that money on an amazing trip to Iceland. Maybe’s it’s time to treat yourself to a camera to capture all those beautiful memories. This is the best gadget/toy I’ve ever treated myself to. It’s lightweight, perfect for travelling and hiking. A more expensive treat but I love my wide angle lens. It’s great for scenic shots but also buildings close up too. For all you bird lovers out there, you’re in for a treat. Iceland is full of beautiful birds but you’ll need a zoom lens to capture them! I have two batteries for my camera. It’s perfect because I never need to worry about the battery running out whilst I’m off exploring. I just need to remember to carry the spare one with me! I like to carry a spare for when my card fills up. If you like filming too this is a perfect size card. If you want to create a blur on your waterfall shots then you’ll need one of these. I have both the Gorilla and lightweight tripod. Read my review of my travel tripods here to help you decide which one to buy. An umbrella – it’s too windy. Your umbrella will turn inside out within minutes! Jeans – my only reason I wouldn’t take these is that if you get them wet, they will never dry! A hairdryer – if you are camping, the best place to grab a shower is the local swimming pool and most of these have a hairdryer. Travelling to Iceland on a budget? Check out my top tips for travelling on a budget! 20% Discount code off Water-to-Go and More!